The audio visual gear listed below is no longer used in our rental inventory or our discontinued production department and is available for sale. To the best of our knowledge, all equipment listed below is still operable (unless noted) however we do not guarantee the condition or operability of equipment. Prospective buyers are more than welcome to visit our location during business hours to inspect and test equipment prior to purchasing. Equipment availability is not updated in real time on this site, if you are interested in purchasing anything, please call us at 407.898.8841 to confirm if an item is still available. Please note that all sales of used AV gear are final and pricing below is not inclusive of sales tax. 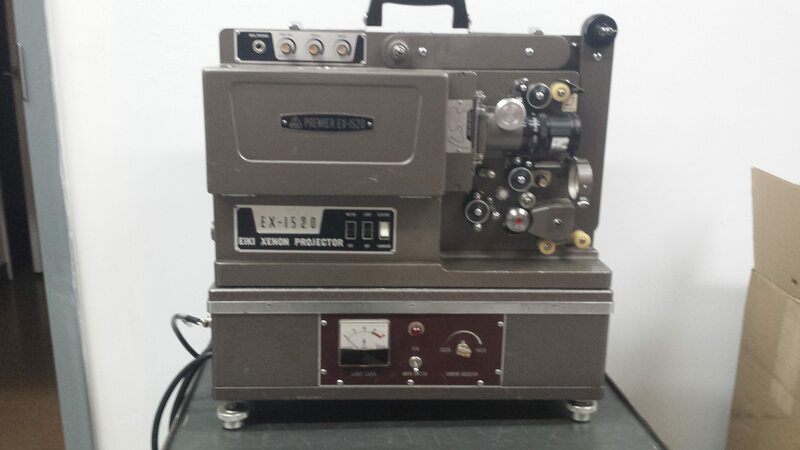 This projector was used in our rental inventory. This 4500 lumen, XGA projector comes with two lenses (standard & short-throw) and a rolling hard case with a telescoping handle. 1,700 lumens, 350:1 contrast ratio, lamp replaced in February 2013 and hasn’t been used very much since. Inputs: VGA, DVI, Right/Left/Video (Red, White, Yellow). Nylon carrying case & VGA cable included. This screen is like new and is leftover from old sales inventory. This was used in our production department which has been discontinued. This is an Anchor Seville podium that was re-finished about two years ago and has been used little since. Appearance-wise, it is very nice and is free of any major blemishes with the exception of a missing piece of trim at the bottom on the front. The integrated sound electronics DO NOT WORK, however it still makes for a very nice podium in a class room or small function space where sound reinforcement isn’t necessary. 10.5″ X 50′ Acetate rolls that are still “new” in their original packaging. These are left over from old sales inventory. PRICE: $5.00 EACH OR $35 FOR ALL NINE. This projector was used by our rental department. Includes power supply. These were used in our production department which has been discontinued.